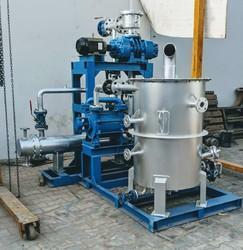 Our two stage watering vacuum pumps are high performing and yield better output to our clients. 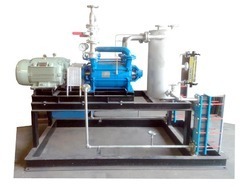 These two stage watering vacuum pumps are offered in the following specifications. Max. Vacuum Achieve : 725 mm.Hg. Sealing Water Tem. : 30Â°C. ILarger capacity Pumps Available upon request. We are among the prominent manufacturers and suppliers of high quality Water Circulating Vacuum Pumps. Manufactured as per the industry set norms and regulations, the offered pumps are widely used for the purpose of removing different gas molecules in order to leave behind a partial vacuum. In addition to this, the offered pumps are available with us at industry leading prices. We are manufacturing Single Stage Vacuum Pumps. Single Stage Watering Vacuum pumps are develops maximum 710mm of Hg vacuum. When sealing water temperature is around 30 C. Single stage pumps are available in capacity from 49m3/r to 1080m3/hr. We are an applauded name busy in offering for our valuable clients a superior quality range of Rotary Vacuum Pumps. At par with the set industry principles, these industrial pumps are well designed using quality approved material and ultra modern technology. 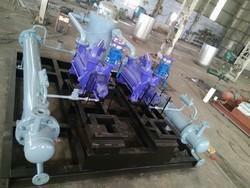 These industrial pumps can be modified according to the terms stated by the clients. The entire collection is appreciated for low maintenance, rugged construction, corrosion resistance and longer service life. 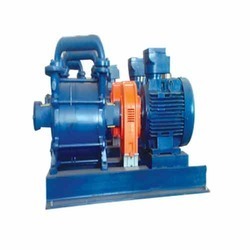 Moreover, our clients can avail these industrial pumps from us at industrial leading rates. • An exclusive design feature is the injection of water directly into the Teflon ring, which is trapped between graphite seals. This water penetrates Teflon for lubrication, cooling and prevents gas leakages. We are well-known enterprise instrumental in manufacturing an extensive range of Mechanical Vacuum Boosters Systems. We manufacture high vacuum pumps that are of oil-immersed, rotary vane type pumps. The rotor, with two spring loaded vanes, is mounted eccentric in the stator body, As the rotor, rotated the vanes sweep the crescent shape valve which prevents back flow of air. Manufactured from graded material, all moving parts are precisely machined, ground and assembled with close tolerances. This results in increased efficiency and long trouble free operating life. It is electromagnetic solenoid type which admits air into the system as soon as the power supply fails. This prevents back flow of oil to the the system. Air Ballast: This a vent pipe introducing air before actual compressions which eliminated condensation of the sucked vapor. There by avoiding contamination of oil. It is rubber diaphragm type spring loaded valve, which prevents back-flow of oil to the system as soon as pump stops. These can not be used to hold the vacuum in the system for longer period. Moisture Trap Inlet Dust Filter Vacuum Gauge with Regulator Trolley for small Pumps Use oil: ENCLO-68 (H.P) SAE-30 or equivalent, vacuum Oil. Model LM-500 I and above, are provided with water cooling jacket.